This week Firefly welcomed Jersey Podiatrist Claire Forbes to Sligo. Claire is the latest Podiatrist to visit Firefly Orthoses. Claire runs her own Podiatry and Chiropody practice, Forbes Feet, out of St. Mary’s in Jersey. Claire and her team at Forbes Feet provide podiatric and holistic treatments, including biomechanical assessment. 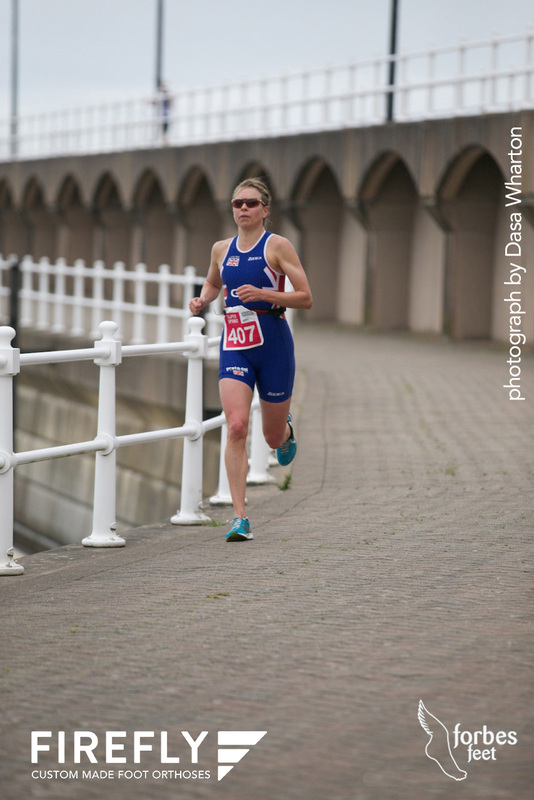 A keen athlete, having competed as a triathlete and now focusing on biathlete events, Claire is returning to competitive action after suffering the rheumatic condition Fibromyalgia. The condition is characterised by muscular or musculoskeletal pain with stiffness and localised tenderness at specific points on the body. Claire is now managing the condition and is back doing what she loves. Her visit to Firefly allowed her to pick up her new Firefly custom made foot orthotics, which will aid her return to competitive action. If you are interested in visiting Firefly Orthoses to learn more about the prescription and manufacturing of custom made foot orthotic follow this link for more info or email info@firefly.ie. It was a pleasure having Claire visit Firefly, we look forward to her return to Sligo sometime in the future.